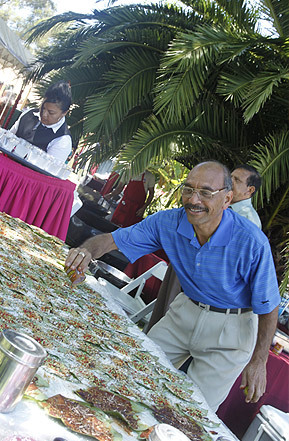 Over the past 20 years, Jayesh and Gita Shah have catered paan at hundreds of events, including concerts at UCLA, Shrine Auditorium, Sports Center, The Forum, and at weddings, birthdays, and parties all throughout California and Nevada. 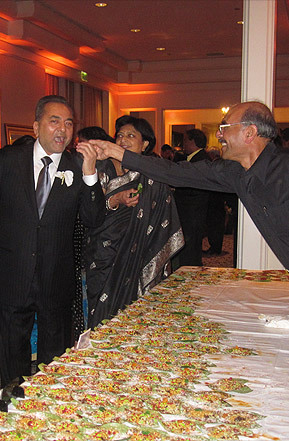 They have catered events with as few as 30 people to weddings with over 1,100 guests. 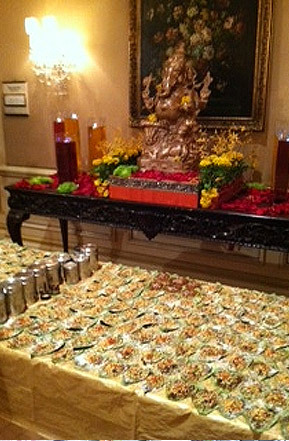 Sangam Grocery & Paan - An unique Indian treat for your event! We make fresh paan at our store in Diamond Bar. In addition, we can prepare paan, to your specifications and have them ready for pick-up, for any of your events. 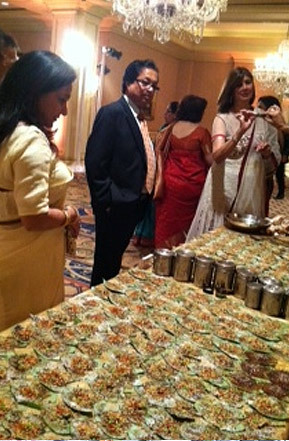 We can also come to your event and prepare paan for your guests. We can accomodate orders from 1 paan to over 1000. Each paan will be individually prepared, sealed, and ready for pick-up before your event. Each Paan will cost $2. 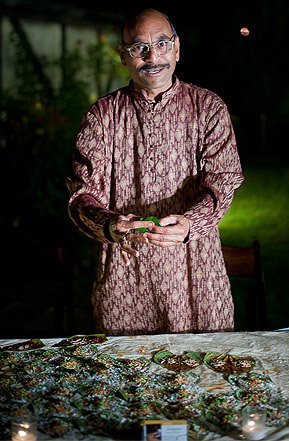 Each paan will be individually prepared and offered to your guests at your event. Please email or call us for more information. "I have told everyone about your fresh paan and how great it was... I hope to some day have some again soon. I hope this email finds you well... Thank you for sharing your customs with me... I'll never forget!"